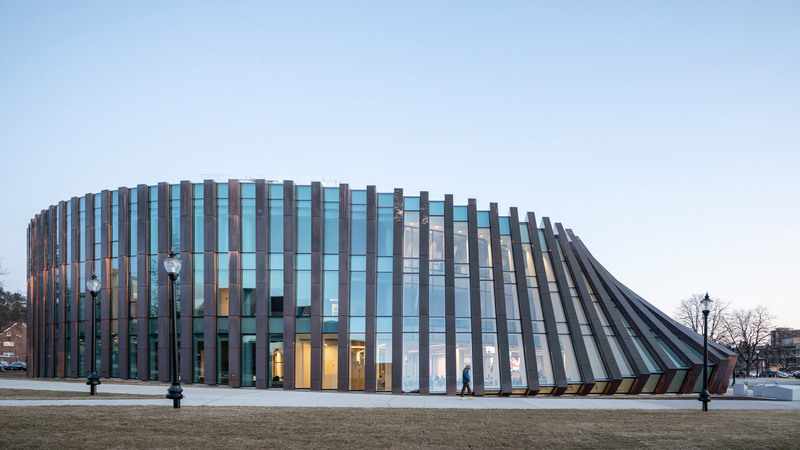 BIG has completed an extension to the business school at the University of Massachusetts in Amherst with gradually sloping walls that resemble falling dominos. 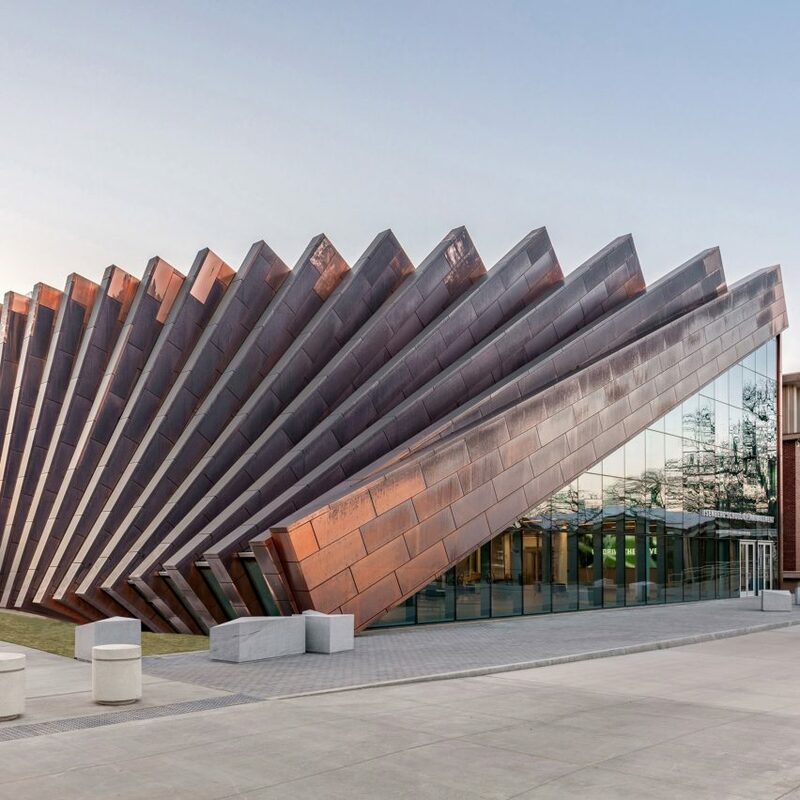 New York firm Bjarke Ingles Group (BIG) teamed with Boston firm Goody Clancy, which served as the architect of record to design the extension for the college’s Isenberg School of Management. 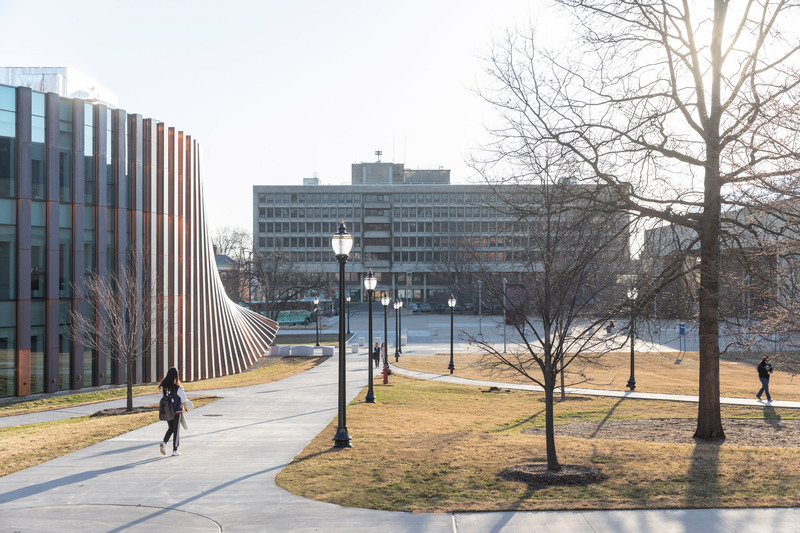 Sited on the campus’ Haigis Mall, the round addition extends in a circle from the north and eastern facades of the existing rectangular building, and wraps around a courtyard. 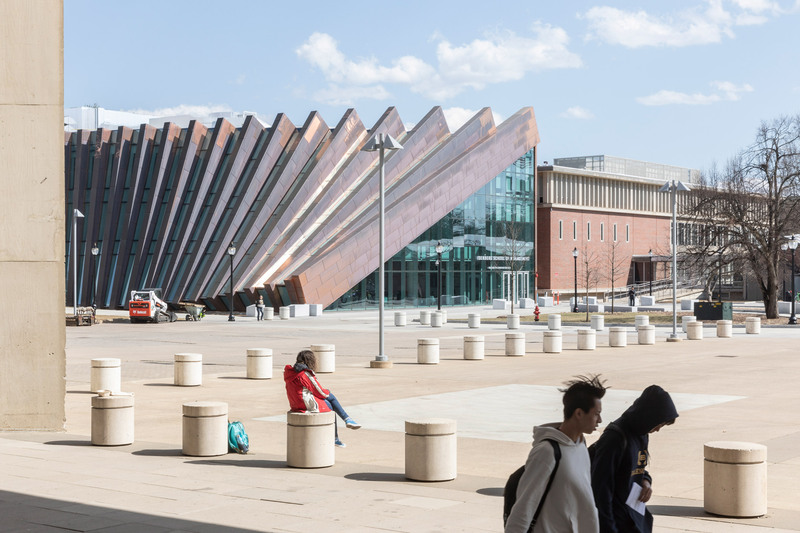 “The new Business Innovation Hub at the Isenberg School of Management is conceived as an extension of both the building and the campus mall,” said BIG founder Bjarke Ingels in a project statement. 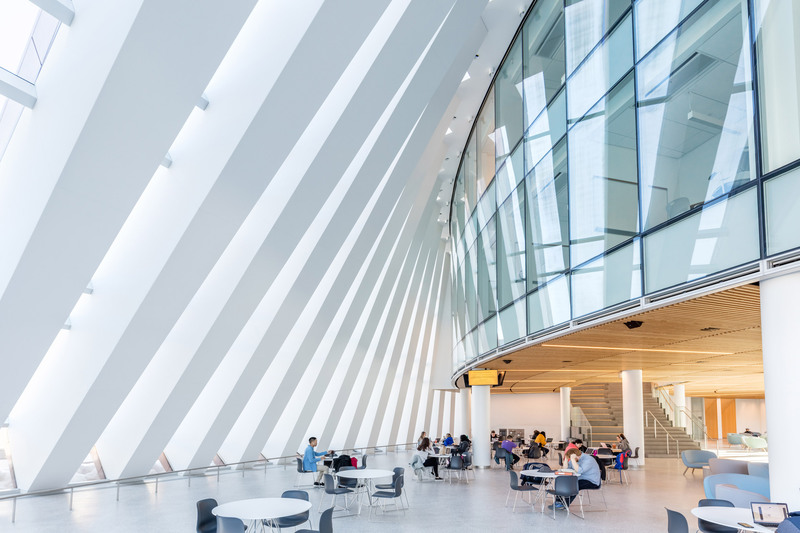 “The facade is pulled away in a domino effect to create a generous invitation from the Haigis Mall to the Learning Commons,” Ingels added. 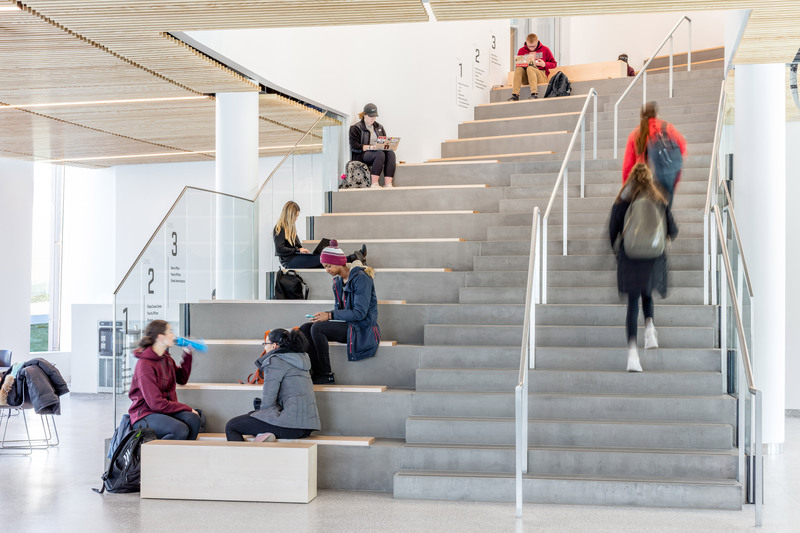 The three-storey Business Innovation Hub comprises a mix collaborative study and social area that nearly doubles the school’s previous offering. 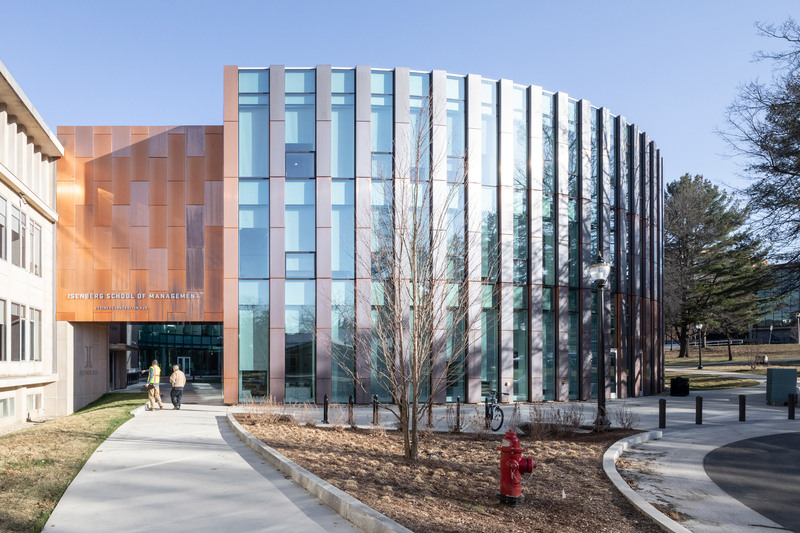 The new volume accommodates more than 150 staff and 5,000 students at UMass. Additional work areas are located in the upper two floors, which feature bridges to the existing business school. The top level also accommodates the dean’s office and a boardroom. 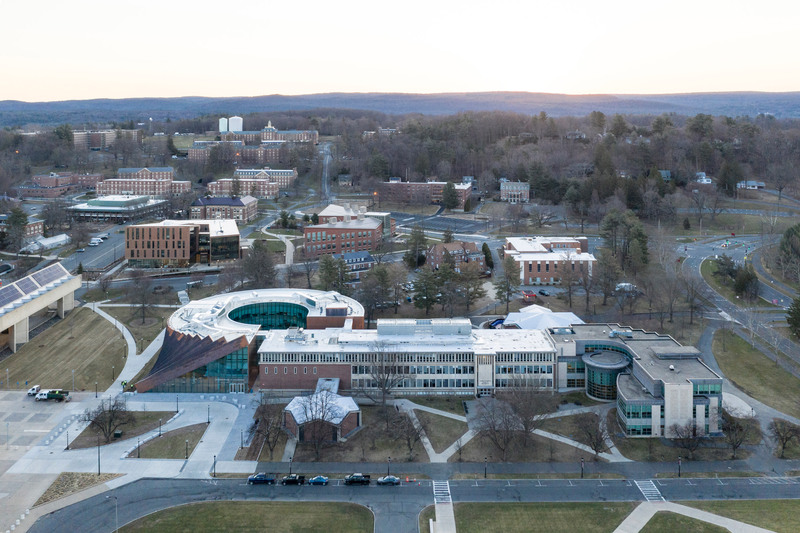 “As a top business school, we want to offer our students, faculty and staff an environment that inspires creativity, communication, innovation and collaboration – a physical space designed to train and prepare students for careers in the 21st century,” said Isenberg School of Management’s interim dean Tom Moliterno. 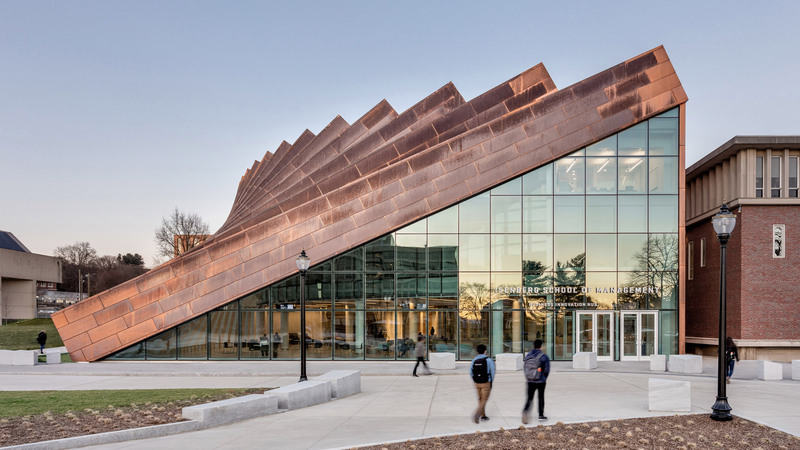 The post BIG wraps Massachusetts university building with “domino effect” copper walls appeared first on Dezeen.